Last week, I was invited by lovely Hannah from Echo PR, to join a few other bloggers on a tour of Manchester's student night. I can totally pass for a student right?! The tour consisted of 4 hours of fun and shopping, organised by Manchester's Arndale Centre and Manchester's business improvement district, the Heart of Manchester BID, how could I resist! Unfortunately, I missed the first hour due to work, but Gail from The Equinox Fashion filled me in on what had been happening. She'd had a fab time at the Arndale Centre, and had just had the most amazing braids put in at the Braid Bar in Selfridges! 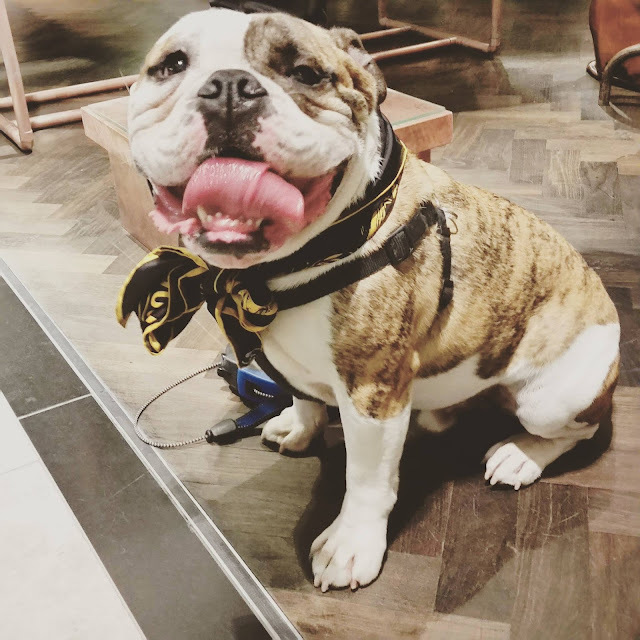 I met up with the exclusive tour on the Menswear floor in Selfridges, just before we met the adorable mascot for the Manchester brand, Private White VC, a gorgeous English Bull Dog. 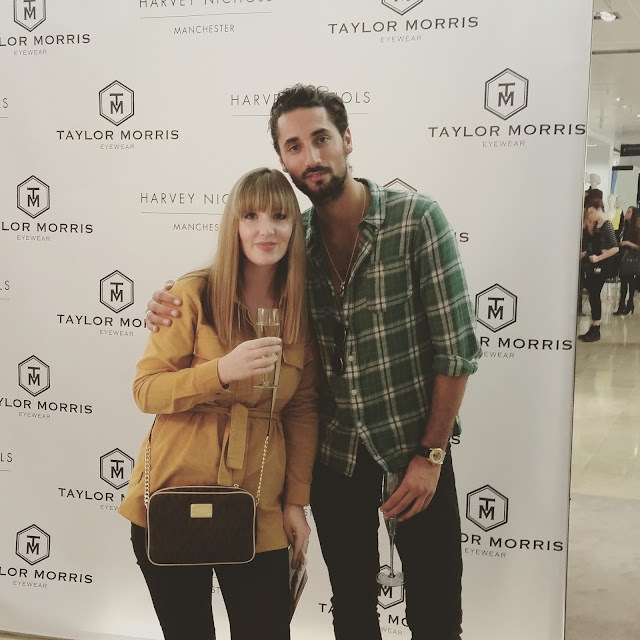 Next stop was Harvey Nichols, where we were welcomed with a glass of prosecco and lead up to the women's fashion where we were introduced to the very dapper Hugo Taylor (from Made in Chelsea). He was there with his business partner showcasing his AW collection of their sunglasses brand Taylor-Morris. 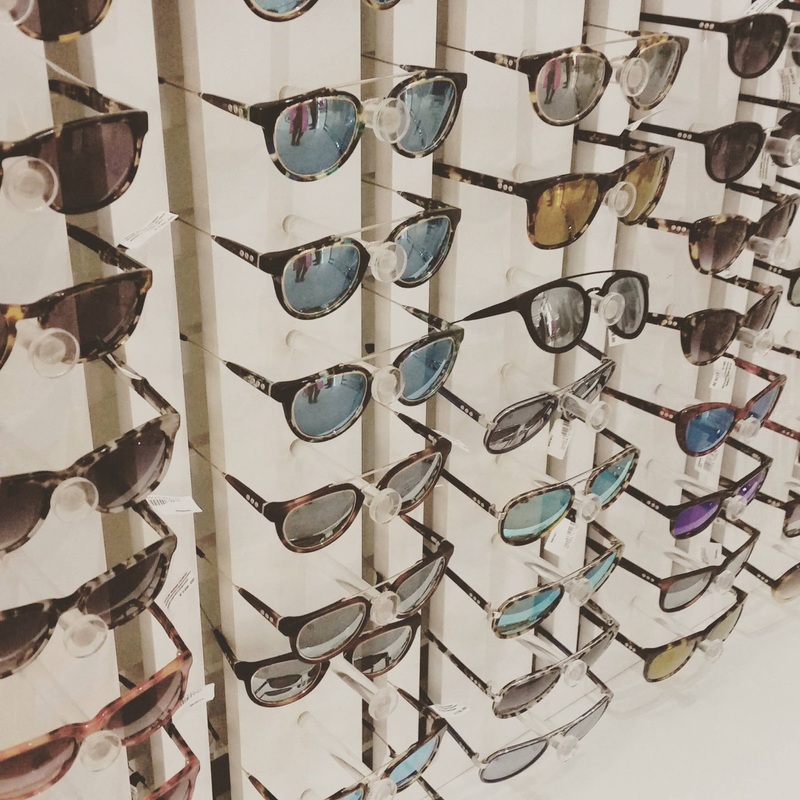 The sunglasses were fabulous as you can imagine, and I fell for the round retro pair, whilst Gail went for some very cool mirrored ones. Hugo was lovely and very to earth. He has a great passion for the fashion industry and was great to chat to. 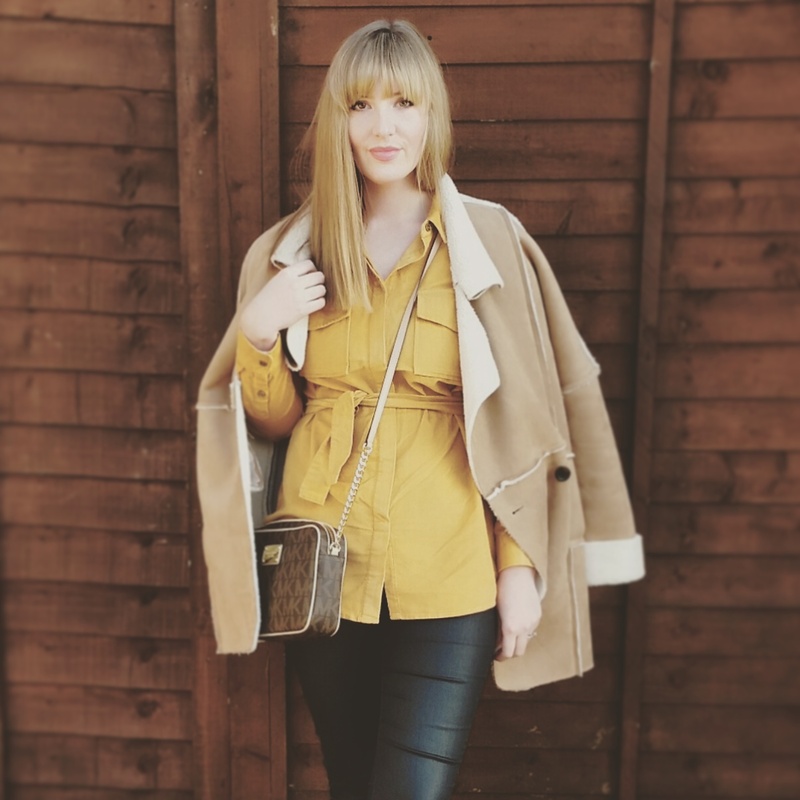 We then had the opportunity to style a model in some incredible clothes, with the chance of winning £250 to spend in store (okay, would probably buy one shoe...but it was worth a try!)! It was a dream to style such beautiful clothes, Gail and I worked together and chose a Kenzo dress, a gorgeous faux fur gillet and the dream pair of Valentino studded heels. 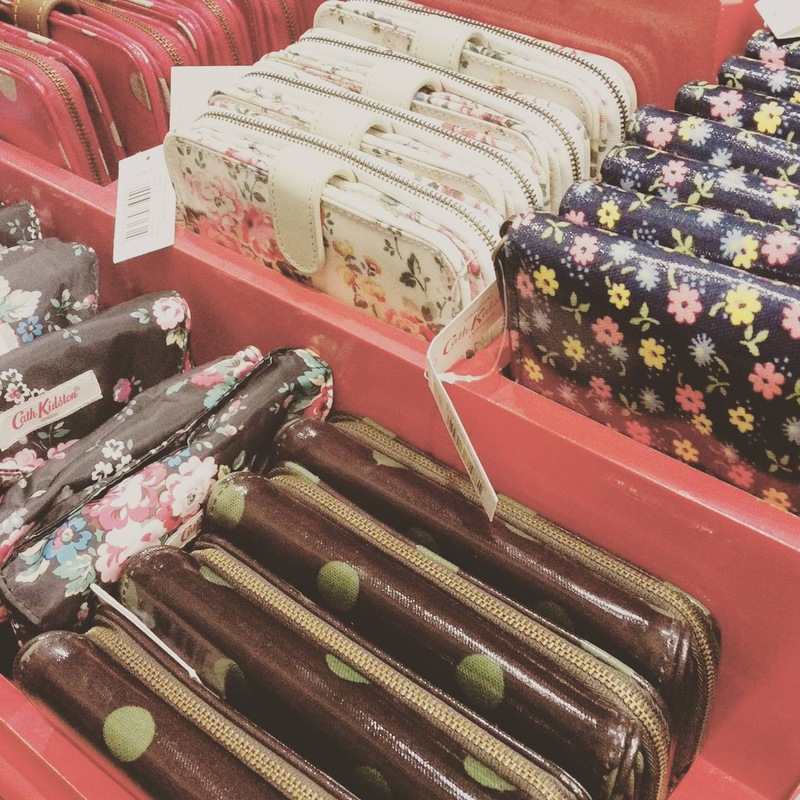 Cath Kidston was next on the tour; one of my favourite stores in Manchester! It's such a beautiful store, so girly and pretty. I could have stayed there all night. 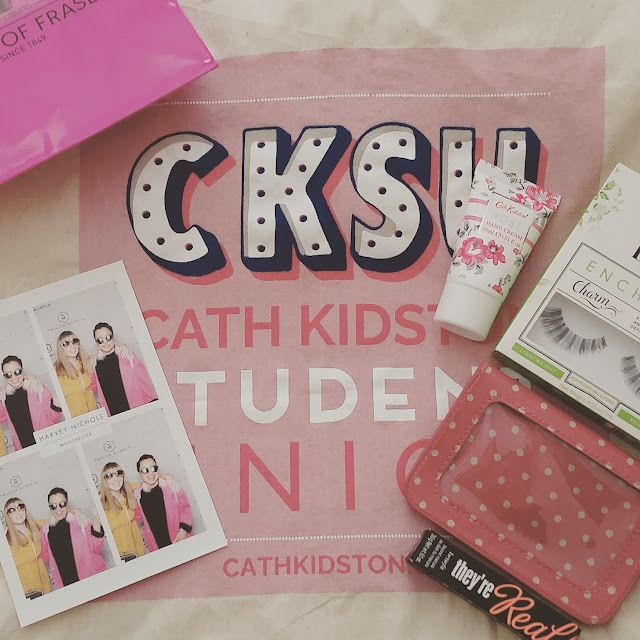 We sampled some beautiful pink lemonade and got a fab goody bag. Last stop was House Of Fraser. This has to be my favourite part of the night as I fulfilled a childhood dream...going in one of those machines from quiz shows where all the money blows around you and you have to catch it (yes, I'm a loser!). Unfortunately I didn't get a picture (too excited), but just imagine a see-through tube which you get locked in for 10 seconds whilst money circles around you. SO MUCH FUN! Luckily for us, we all managed to grab a golden ticket and collected our prize; a cute little bag of some great samples! I had such a good night! It was so much fun to tour the shops of Manchester. I have lived in the city (well 20mins away) all of my life, but still enjoyed going to stores I wouldn't necessarily go to, and meeting the lovely people who work there. It was such a great way to introduce freshers and other new residents, to our wonderful city. Thank you to the girls at Echo PR for inviting me and to all the stores that participated, it was a really successful night and made me very proud to be a Mancunian!